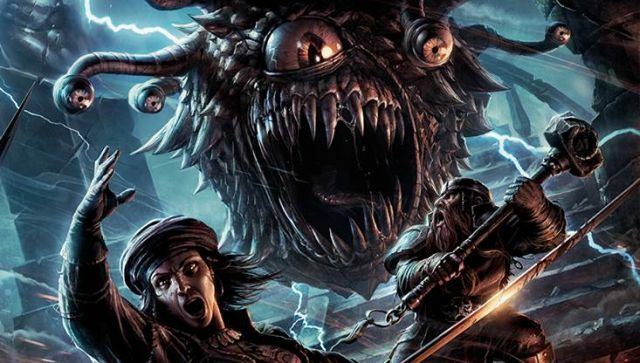 Dungeons And Dragons Film Back On At Warner Bros. Though a legal battle threatened to derail the project entirely back in 2013, Warner Bros. has today announced that its live-action Dungeons and Dragons adaptation is back on the table. News comes after the company settled a dispute with toy manufacturer Hasbro, who then claimed that WB didn’t have the licensing rights to create a feature film. Now that the dust has settled, both parties have confirmed that the project is indeed moving forward. Perhaps spurred by the mounting interest in Duncan Jones’ Warcraft, Warner will be hoping to mine the rich resource that Dungeons and Dragons has to offer, which is widely considered to be one of – if not the – founding fathers of the modern fantasy genre. In a press release, Greg Silverman, President Creative Development and Worldwide Production at Warner, spoke with excitement about the nascent project. Featuring a script by David Leslie Johnson (The Conjuring 2, Wrath of the Titans), Warner’s adaptation will be the first cinematic rendition of the Forgotton Realms in some time. Aside from the eponymous ’80s television series – itself running for three seasons – a trio of movies were released at the turn of the millennium, though neither truly made an impact. Now, WB is gearing up for a bona fide reboot, and considering the overwhelming popularity of Game of Thrones, it’s small wonder that such a reimagining hasn’t hit the silver screen sooner. Other than Johnson being attached to the script, there’s little indication of where the scribe will take Dungeons and Dragons, though there is so much content to consider that the screenwriter is almost spoilt for choice. Warner Bros.’ Dungeons and Dragons reboot is still a ways away from release, but what do you think of its potential comeback? Sound off below!